With over 20 years experience in repairing, servicing and upgrading computers, we are able to solve a multitude of problems and engineer visits can be scheduled for days, evenings and weekends, so we can come when it's convenient for you. If you prefer your computer to be repaired in our dedicated workshop, we provide a free collection and redelivery service. We are fully mobile, but it is also possible to drop your computer to us (by special arrangement only). Coverage: All RH postcodes - Reigate, Redhill, Dorking, Crawley and surrounding areas. For a quick and easy way to get in touch, fill in your details below and click Submit. We promise to respond promptly. 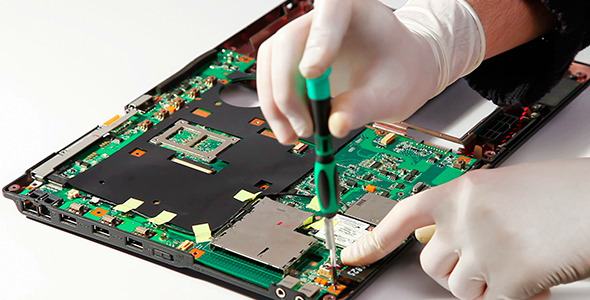 Among our most popular services are laptop screen replacements, power socket repairs, virus removals and tuneups however we're far from limited to those. As technology experts we can answer or solve almost any IT related query. Lynx International can also custom build and host your website on our dedicated rack hosting servers at Telehouse London. For further information please call or email. Lynx International - Established 1997, Proprietor: I.D. Smythe.